Robert Anderson, b. 1819 The Anderson Surpriser. Written After He Was Seventy-Five Years of Age. 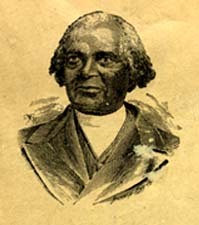 The Author Was Born in Liberty County, Ga., on the 22d Day of February, in the Year of Our Lord, 1819, and United with the Methodist Episcopal Church in the Year 1839. This Book Contains an Account of His Florida and Northern Trip, Written by Himself, Giving Much Valuable Information of the People Among Whom He Had Been Several Months. The Anderson Surpriser. Written After He Was Seventy-Five Years of Age. The Author Was Born in Liberty County, Ga., on the 22d Day of February, in the Year of Our Lord, 1819, and United with the Methodist Episcopal Church in the Year 1839. This Book Contains an Account of His Florida and Northern Trip, Written by Himself, Giving Much Valuable Information of the People Among Whom He Had Been Several Months. Macon, GA: The Author, 1895. Florida -- Description and travel.